Just like Donald Trump learned everything he knows about foreign affairs from watching “the shows” on TV, I learned everything I know about medicine from watching “the ads” on TV. Like the grandpa who huffs and puffs with his COPD, or the young professionals who miss out on important meetings because they have constant diarrhea. Or those slutty, hard-eyed women who force their boyfriends to bring along packets of Viagra—or is it Cialis?—on their trysts at romantic B&Bs. My favorite is that medicine for people who are completely blind and can’t tell if it’s day or night. How come they’re watching TV if they’re completely blind? And don’t they make clocks in Braille? The one I relate to most is the one where Arnold Palmer and Kevin Nealon and a rotating cast of young and robust sports stars ride around in golf carts and then eat healthy salads on the clubhouse terrace. It’s for a blood thinner you take if you have atrial fibrillation (or more precisely, “atrial fibrillation not caused by a heart valve problem”), and that’s exactly what I have. It’s “my” disease and I’m quite attached to it. As diseases go, it’s great. Most of the time you feel fine. It’s controlled by various medications that regularize your heartbeat. The problem is, the one I take slows my heartbeat down so much that my brain hardly gets any oxygen. And that, dear readers, is why my columns have been so incomprehensible for the past couple of years. At any rate, several months ago I was having lunch at my favorite taco stand in Bradenton, the one in the parking lot of the Samoset Market, when I started to palpitate violently and felt I might keel over. Several kindly Mexicans helped me to my car. I tried to drive home but kept having to pull over as I felt unconsciousness threaten. My doctors—these days we all have more than one; I’m up to five— decided it was time for Plan B: something called a heart ablation. I showed up at Sarasota Memorial Hospital at 7 a.m., projecting the height of nonchalance. The ablation unit had its own little section, with four or five of us in the waiting room. My fellow patients had each brought a “loved one”—that’s what they call them, either a spouse or adult child. As for me, I didn’t need no loved one. This was a piece of cake and I could handle it myself. The prep began. I must say the nurses at Sarasota Memorial are the best in the world. They remind me of Hillary Clinton—qualified to be president and administer an enema. There was one little problem, though. 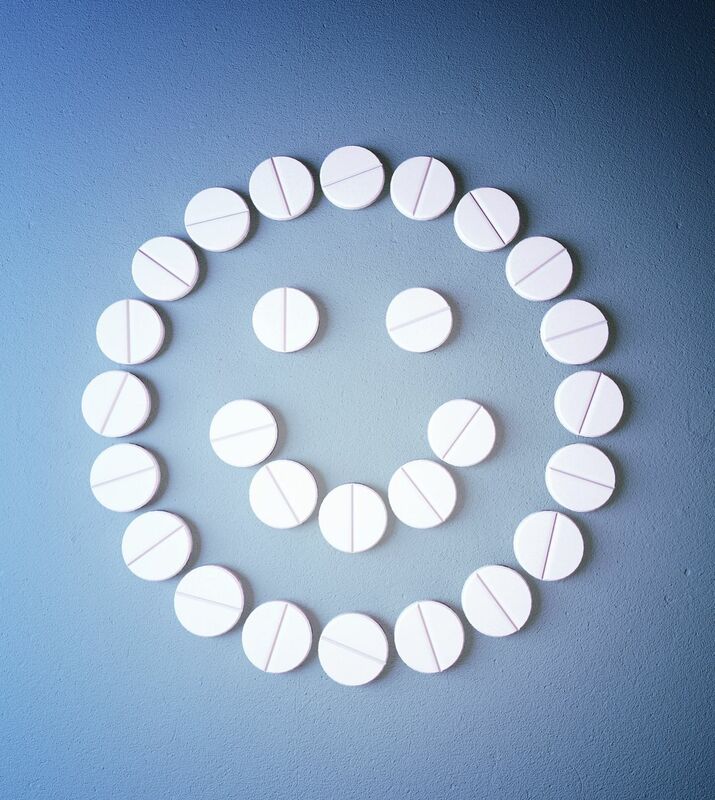 It is customary to give the patients a “happy pill” as the prep begins. It turns out that the prep period is long—almost three hours—and a lot of uncomfortable things happen. They hooked me up to a heart monitor, drew three vials of blood, stuck tubes in both my arms, shaved most of my body, asked if I wanted to see the chaplain and then put in a catheter. Oh. I closed my eyes as they shoved it in. I have no idea how large it was—I never looked at it the whole time—but it felt like it was the size of a garden hose that was covered with broken glass. Oh, how I wanted a happy pill. The wait went on and on and my anxiety escalated. Doctors and nurses came in and poked and prodded me. My groin began to itch. I had a tiny heat rash down there that was coming to life. I couldn’t get my hands there to scratch. I told the nurse. She couldn’t put anything on it because it was too close to where they going to operate. I was seriously thinking of begging the doctor for a postponement. Then, just before they wheeled me away, an entirely brand-new doctor came in and asked me if I was a diabetic. That’s when the transport guy appeared and wheeled me into the operating room and everything went blank. What happened next was one of the lowest points of my life. I found myself coming to in the recovery room. I was thrashing back and forth and screaming at the top of my lungs. Two nurses were holding me down. I wasn’t in pain. I was just hysterical. “What’s going on?” I kept yelling. The strange thing was that a part of me was standing there looking down at this scene, appalled by my behavior but unable to do anything about it. For instance, when I decided to escalate the yelling and chose the phrase “I don’t want to live!” as best conveying my feelings, the rational part of me, the writer inside, suggested, no, don’t phrase it as a negative. Say it in a positive way. So I yelled, “I wanna die!” instead and was immediately glad I did. It sounded so much better. And people certainly heard it. Everybody else in the recovery room was recovering the way you’re supposed to—fluttering your eyes open, with your loved one smiling down gently, mopping your brow. I was screaming and crying and kicking the nurses, kicking them so hard that they had to put a temporary cast on my leg. It’s amazing how close we are to the hysteria bubbling just below the surface. A little propofol and it all comes out. What else is down there, waiting to explode? Meanwhile, I am adjusting to my new life as a diabetic. I give myself five shots a day, something I never thought I could do. My diet is incredibly restrictive. In any given Publix there are about five things I can eat. And “the ads” have taken on a whole new importance. Diabetic nerve pain? I’ll be ready.